Single College Diploma Frame Collegiate University Diploma Framing Top mat Black Inner mat Maroon Glossy Prestige Certificate Frames. 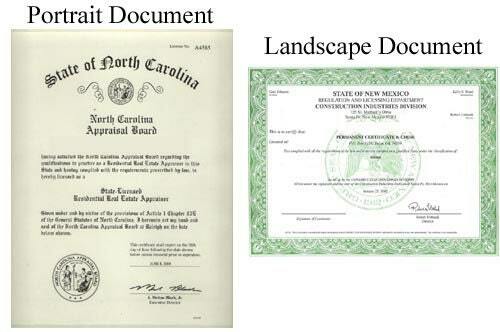 Double-matted degree certificate framing. Add a touch of personalization to enhance your degree and celebrate success with a beautiful degree frame by AllGiftFrames. After you place your order, contact us through Etsy email or Text us at 714.227.8735 or put info in "Note to Seller" field box and let us know your "diploma size" and "personalization information." ♥ Personalization of 1 line with maximum of 35 characters (including spaces) by Gold Embossing in Old English Font (School Name Prohibited due to copyright). Dazzling. Embossed and Personalized, AllGiftFrames delivers high quality university diploma frames and college certificate frames using state-of-the-art quality craftsmanship techniques to showcase your achievements. 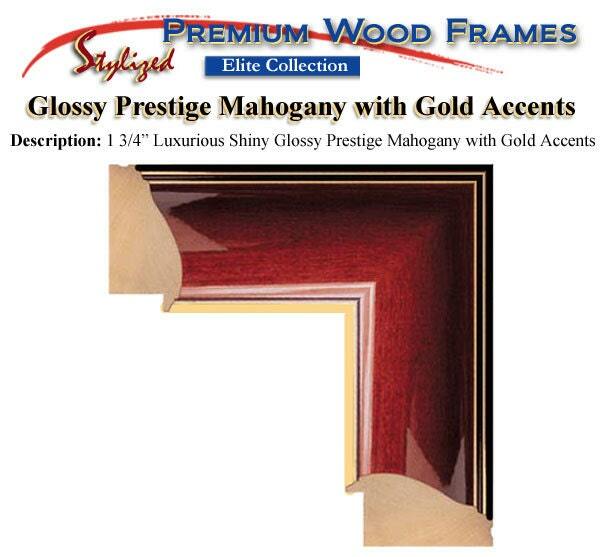 Supplier of personalized gold embossed wood college diploma frames and certificate frames. 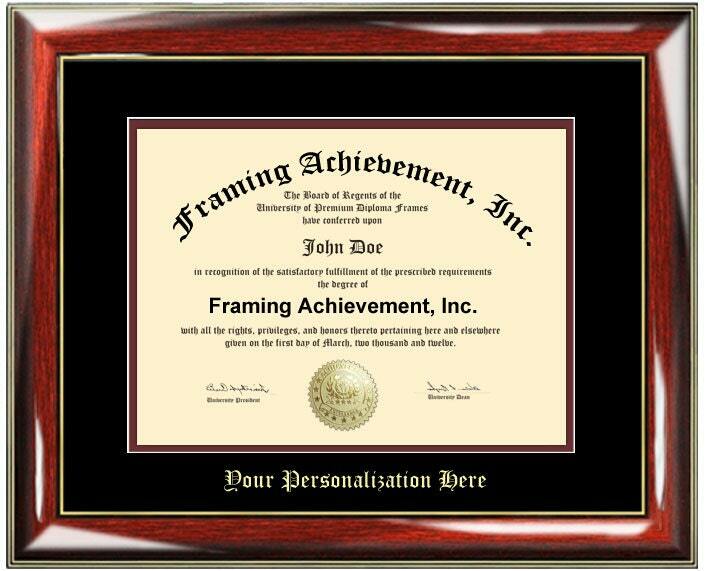 Personalized university collegiate diploma frames, college degree frames and certificate frames with gold embossing. 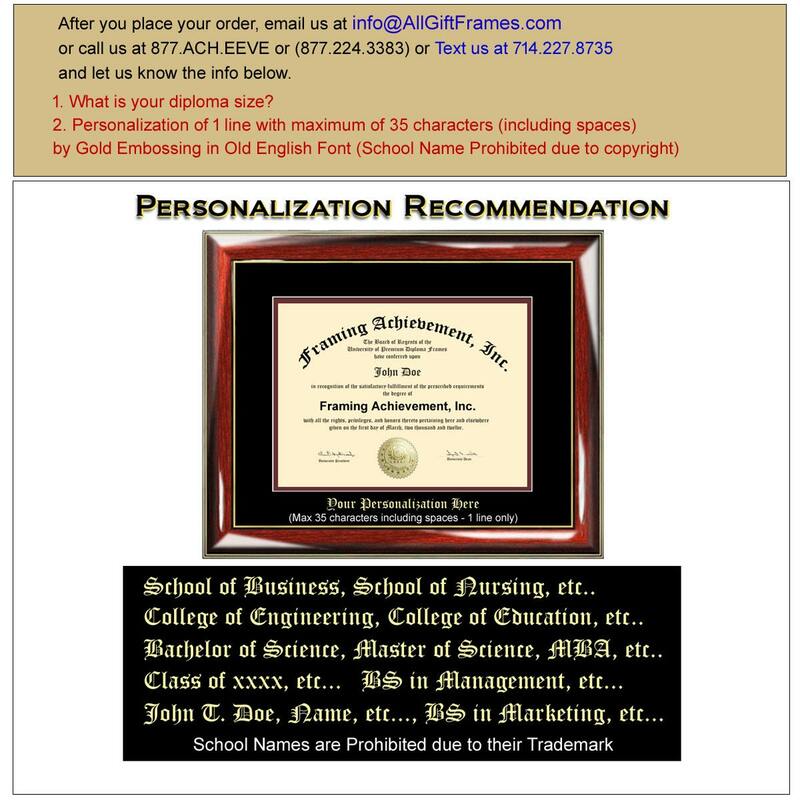 These personalized embossed diploma frames are unique graduation gifts for college, university or high school graduates. Personalization of 1 line with maximum of 35 characters (including spaces) by Gold Embossing in Old English Font (School Name Prohibited due to copyright).